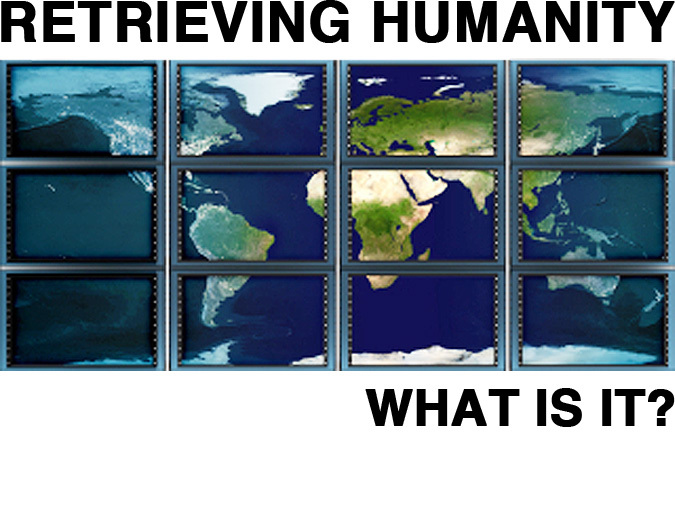 Retrieving Humanity is a one of a kind interactive performance and installation that will bring live streaming video and audio from around the world to Santa Fe. This new concept of storytelling will allow the audience, by participation, to explore and express connections with their community and the world at large. Through the use of cutting-edge technology, including custom-made software, motion sensors, media streaming, computer networking, and DJ and VJ (video jockey) software, Retrieving Humanity pushes the boundaries of art, technology, and communication. This event will be held 7 – 9pm July 30, 2010 at Santa Fe Complex, Santa Fe, NM, USA. Retrieving Humanity will address the difference between viewing culture from the outside or engaging with it as a participant. The audience will be encouraged to explore these differing attitudes and test the traditional boundary between audience and performer by becoming a participant. Santa Fe Complex will be transformed into an immersive space with a promenade of six kiosks, each with unique video and audio from around the world. At the end of the promenade will be a large screen displaying a mix of this visual information. As participants approach each kiosk they witness various live scenes from around the world. They see and hear a festival in Bologna, a street in Baghdad, a dance club in Berlin, a sleeping apartment dweller in Toyko…, each offering a portrayal of different experiences occurring at the same moment. At one kiosk the participants’ image is added to the video to include them in the scene, at another kiosk the participant picks up a tea pot and changes the the view from black and white to color, and at another kiosk the closer you get to the screen the more the video comes into focus. The streaming video, along with the influences the audience have created are mixed by a DJ and VJ and projected onto the large screen and the audio mix is played through large speakers. This collaboratively created video allows the participant to realize that they are involved in a much more complex system outside of themselves. Retrieving Humanity creates a collaborative workspace that encourages the exploration of innovative technologies which enable social understanding and cooperation. It explores virtual and physical spaces that use advanced computational tools, artistic creation, education, problem solving, and group development. In addition, learning opportunities will be available for the public through workshops, lectures and the performance itself. Students from SFCC, IAIA, and NMHU will not only benefit from these same learning experiences, but will also be able to work hands on with the creators of Retrieving Humanity. Our expectation for Retrieving Humanity is that it will open doors of communication and provide a contemporary view on how cultures interconnect. Through these connections a new, communal story is created from the personal expressions of individuals around the world and in Santa Fe. Communities, near and far, will learn there are new modes of interaction and experience which can reduce the real distances between them. Through reaching out and engaging, instead of remaining a silent observer, participants will realize that there are new possibilities for connecting with the world around them. The success of the piece will be demonstrated by the interactions of the community, participants and students both during and after the exhibition. Through direct communication and experience we will know if the public has discovered new opportunities to make connections and if students have been inspired to use technology to have a stronger relationship with the world. Sounds interesting! Is there maybe video documentation of the event available somewhere? There will be video documentation after the event. We’ll announce it on this site when it’s available. Oh, somehow I seem to have read that the event was held on July 7.. Anyhow, thanks for replying, I’ll keep an eye on the site then.